This 6-inch action figure is expertly painted and perfectly recreates the texture of the Clone Trooper 501st's blue and white armor and weapons (DC-15D blaster rifle and DC-15A blaster pistol). 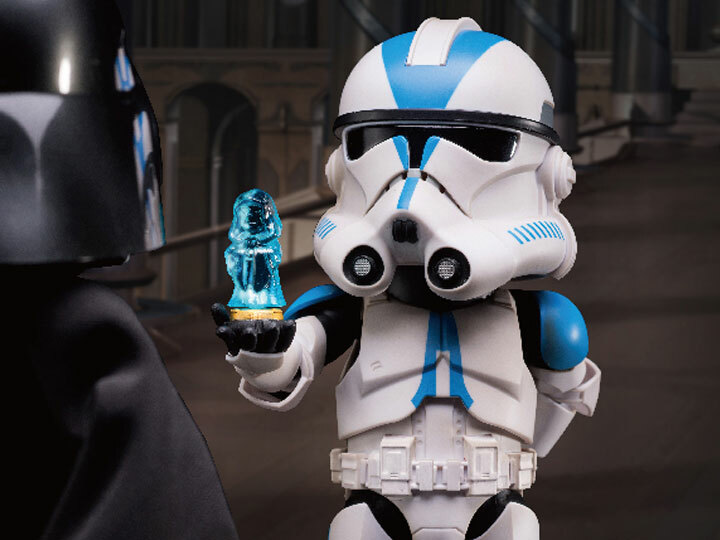 The figure also features an interchangeable hand with transmission hologram effects just like the movie. 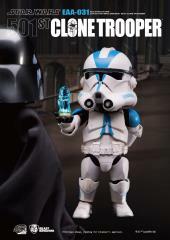 Star Wars fans don't pass up on the opportunity to add this Clone trooper 501st figure to your Star Wars display.